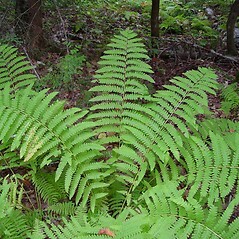 Species in the family Osmundaceae are herbaceous ferns that tend to grow in clumps. 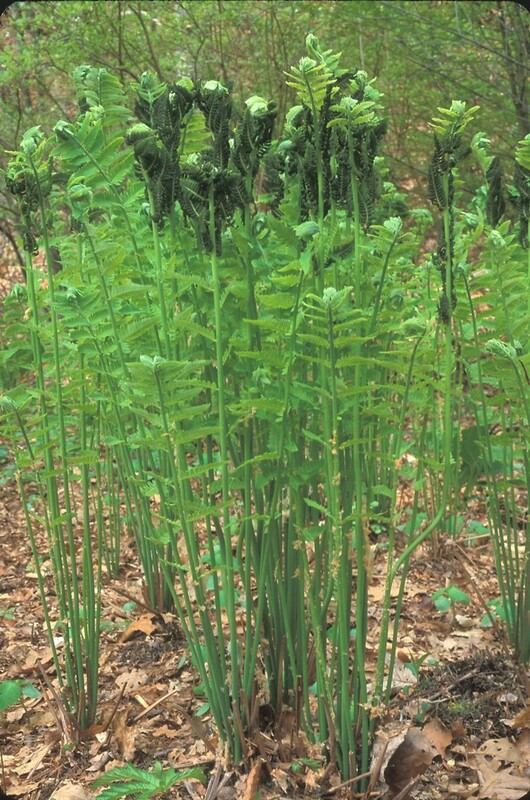 The leaves grow upright from creeping horizontal stems found along or under the ground. 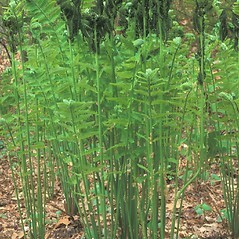 The leaves are subdivided into lobed leaflets, or may be twice-divided. The top of the central axis of the leaf has a lengthwise groove. 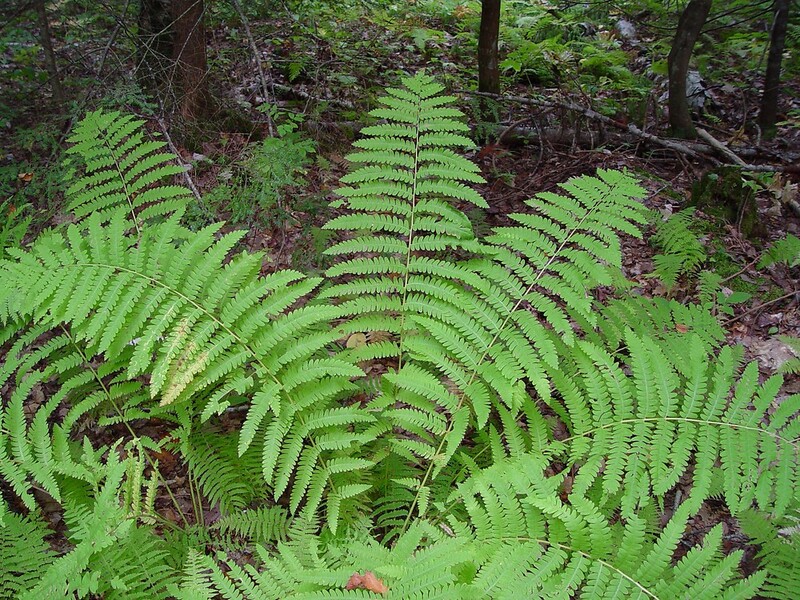 Young leaves and petioles are covered in fine hairs that are reddish or brown in color. The sporangia grow directly on the edges of modified segments of the leaf blade, rather than in sori as in many other fern families. In some species, all the leaflets of fertile leaves bear sporangia, while in other species, spore-producing leaflets are limited to particular areas on the fertile leaf. The spores are green.